Balcony apartment overlooking the sea from which is 15 meters away. A three minute walk from a beautiful, very fine sandy beach ..... The house is equipped with the necessary for short stays up to 15/30 days, with a bedroom with 4 beds +1, a bathroom with shower and bidet, a living room kitchen with pots and accessories for cooking that overlooks the balcony and large window with three doors that opening it transforms the living room into a single large room facing the sea. The apartment is located within the characteristic "Borgo dello Stazzone". 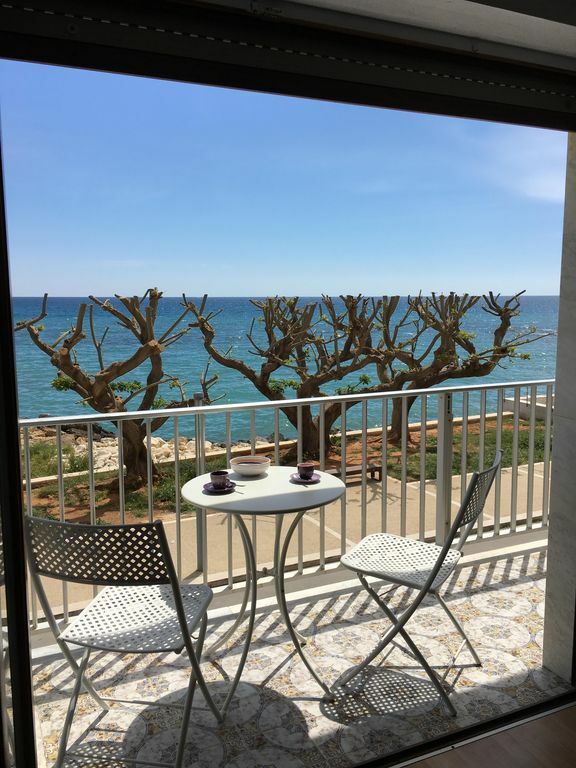 Just minutes from the center of Sciacca, it can accommodate up to four people with fantastic sea views. A balcony with chairs and small table allows you to enjoy wonderful sunrise and lovely sunsets. Large supermarket 200 meters, restaurants, pizzerias, pub-vinotheque, bars, fishmongers, tobaccos and newspapers, telephony shop, ITALIAN NAVAL SECTION AND CIRCLE NAUTICAL "CORALLO" in the 300M tourist port with transit places with shower services and laundry, fishing port 500m, 2 HOTELS at 300m, mechanical workshops, technical naval and electronical electronic assistance nearby, nautical yard with boat service with technical assistance and storage. Ideal for relaxing but also as a base for excursions in the area (45 'Valley of the Temples, 35' Scala dei Turchi, 30 'Selinunte and Segesta Archaeological Park, 20' Sambuca di Sicilia, "the most beautiful village in Italy 2016" , 15 'Porto Palo, protected area Foce del belice and Torre Salsa two beaches with fine sand. Mount Genuardo and Valle del Sosio equipped area with the possibility of ecological walks).,). Our apartment is located within the characteristic Borgo dello Stazzone ten meters from the sea. A few minutes from the center of Sciacca can accommodate up to four people. Fantastic sea view and served by numerous bars, restaurants, pizzerias and bars, located in the village! Located on the first floor with a view of the tourist port and the town of Sciacca. In full style of the seaside village, typical fisherman's house offers all modern comforts. It is a 10 minute walk from the historic center, climbing the stairs leading to the central square and the beaches of the Lido, 5 minutes from the fishing boats of the Porto Antico and the fish market where you can buy fish. Ideal for relaxing but also as a base for excursions in the area (45 'Valley of the Temples, 35' Scala dei Turchi, 30 'Selinunte and Segesta Archaeological Park, 20' Sambuca di Sicilia, "the most beautiful village in Italy 2016" , 15 'Porto Palo, protected area Foce del belice and Torre Salsa two beaches with fine sand. Mount Genuardo and Valle del Sosio equipped area with the possibility of ecological walks).